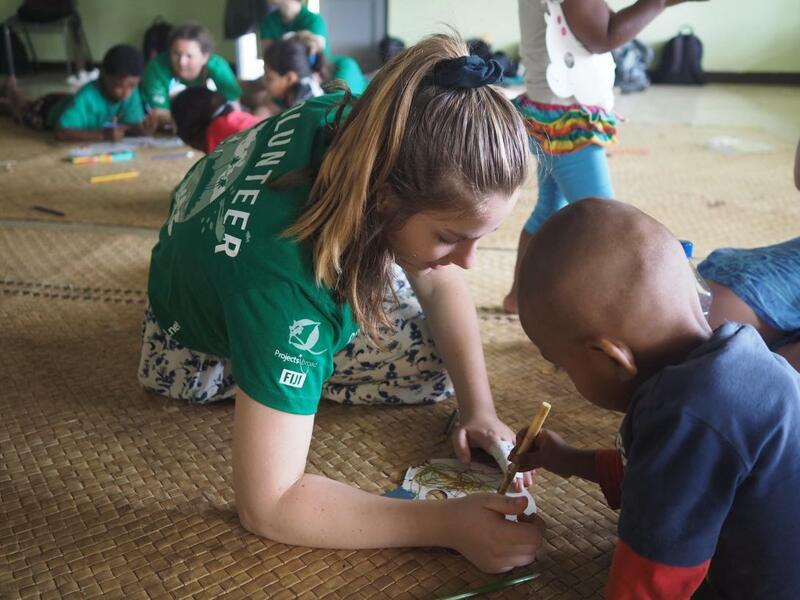 Volunteer with children in Fiji and work in kindergartens to support early childhood development. With your help, children will learn the skills they need to succeed at school. You can also work with children in special needs centers. 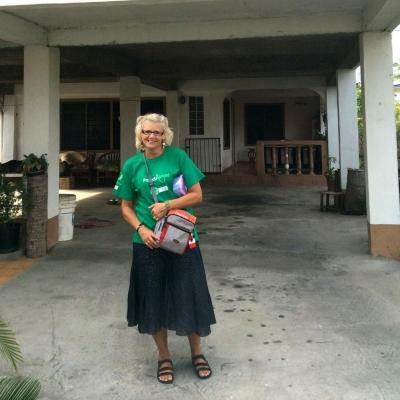 As a volunteer, you’ll support the work teachers and caregivers do in low-income communities. You’ll focus on early childhood development and help us work toward our long-term goals, like improving literacy. This is a great way for you to get practical childcare experience and actively make a difference. 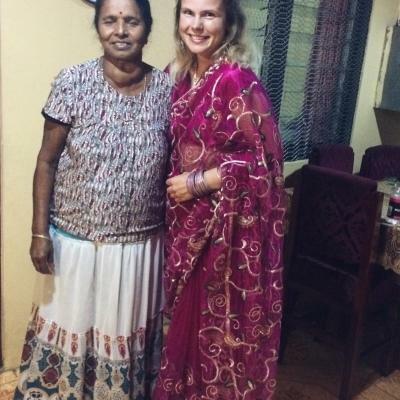 During your time in Fiji, you’ll live with a local host family in Nadia or Lautoka, and learn more about the island’s customs and culture. You’ll also have the opportunity to explore the beautiful beaches during the weekends. 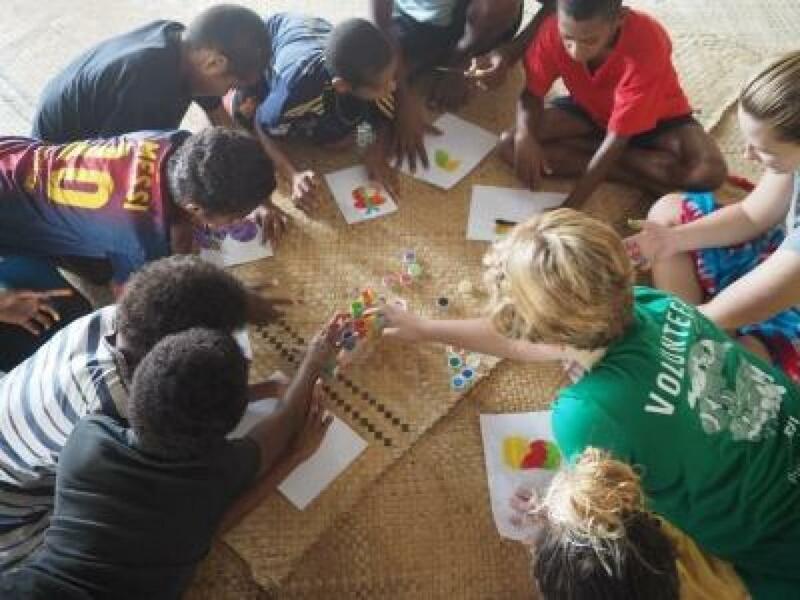 Is volunteering with children in Fiji right for me? 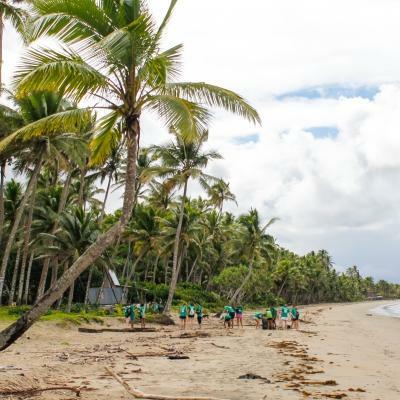 If you’ve ever dreamed of living on a tropical island and want to do some good at the same time, volunteer work with children in Fiji is for you! The project is open to anyone who loves working with children and wants to get some practical experience. It will also add skills to your resume, like leadership and planning, that can help your future career. You don’t need any prior childcare experience. All you need is energy, a touch of creativity, and a desire to help. Our staff are there to help and guide you. We also provide you with training, workshops, and resources. Some of the children we work with have special needs and require speech therapy. If you have a background in these fields, your assistance would be welcomed. Our Childcare Project in Fiji runs year round, and you can join at any time from a minimum of two weeks. We encourage you to stay longer so you can have a bigger impact on the children you work with. 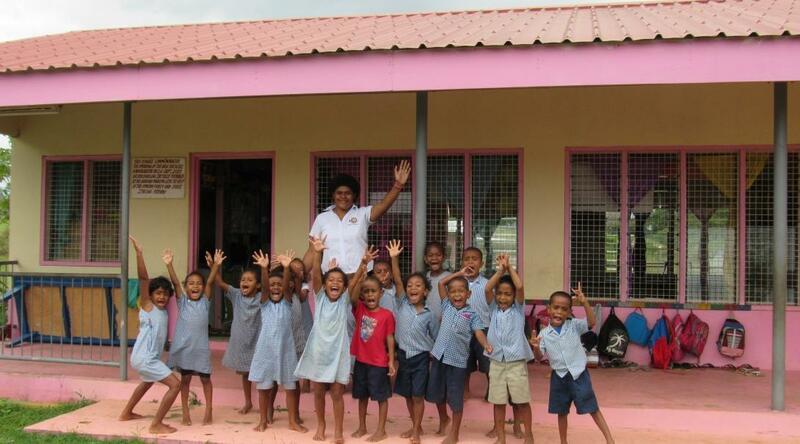 In Fiji, large class sizes often prevent teachers from dedicating individual attention and support to each child. You will work closely with students who may be struggling with lessons, bringing small groups together to provide extra support. Many Fijians suffer from conditions such as heart disease and diabetes. This is normally caused by a relatively sedentary lifestyle and poor diet. 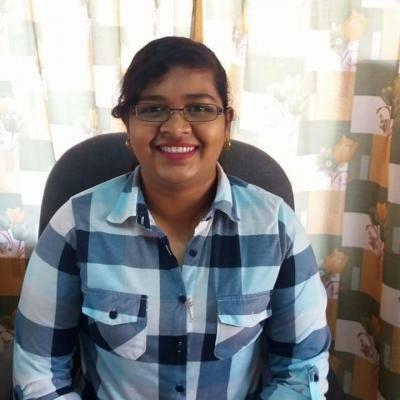 Currently, almost 80% of deaths in Fiji are caused by these types of conditions that could be prevented and managed quite easily with the correct knowledge. The children can go home and share their knowledge with older family members, encouraging them to consider a more healthy lifestyle. We also work with a number of centers for children with special needs. Here, you can make a big impact by providing individual support and stimulation to the children. Arts and crafts and music lessons are always popular. If you have a qualification in any sort of therapy, you could also help out with this. Where will I work in Fiji? You will be based on Viti Levu, Fiji’s main island, in one of two cities: Nadi or Lautoka. They are the second and third largest cities in Fiji respectively, and located about 24 km apart on the western side of the island. We mostly work with kindergartens in these cities, but do also have a few special needs placements. 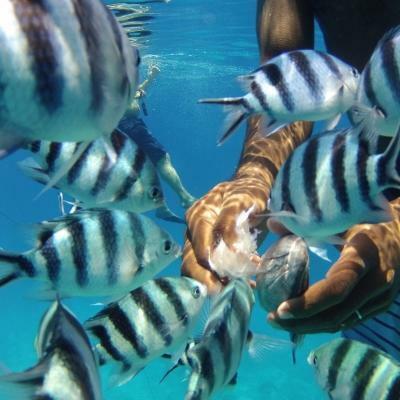 While Viti Levu is the largest island in the archipelago, Fiji actually consists of more than 330 islands, of which 110 are permanently inhabited. 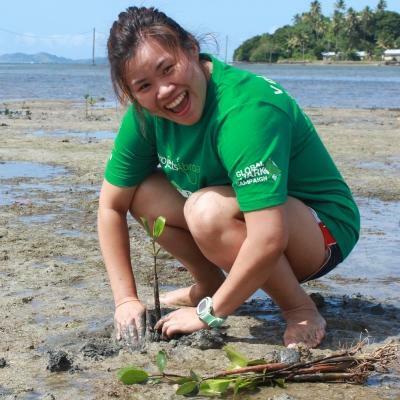 Over weekends, you will have free time to explore this real-life tropical paradise with fellow volunteers. 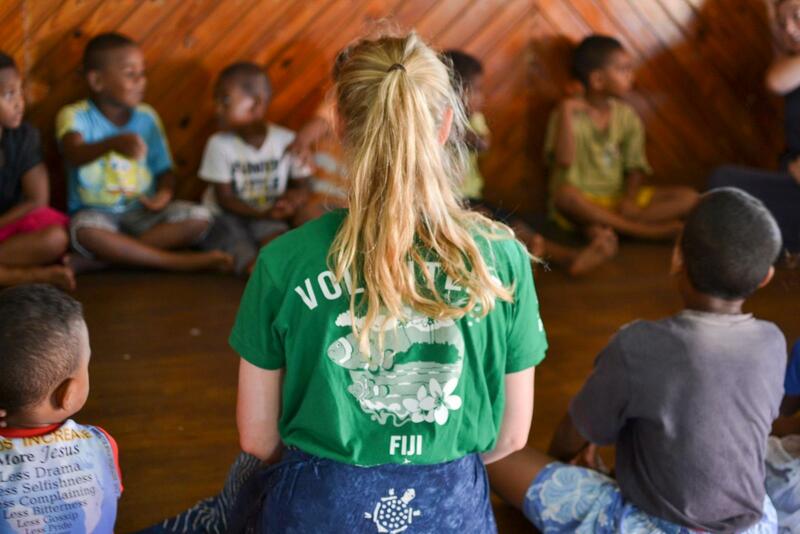 What will my typical day be like as a Childcare volunteer in Fiji? You will start your day with breakfast, prepared by and enjoyed with your host family. After breakfast, you’ll take public transport to your placement. 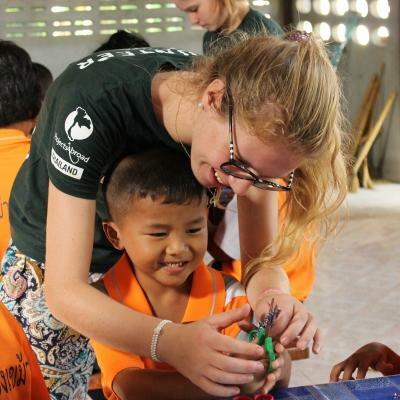 On your first day, Projects Abroad staff will travel with you so that you learn how to get to your placement. Your day will normally run from about 8.30am to 3pm, coinciding with kindergarten times. In the mornings, you’ll help teachers with more academic class activities, such as literacy and numeracy. After the children’s morning break, it’s time to have some fun with arts and crafts, games, and reading. Our assessment checklists will help you determine which activities to focus on with the children. If you work close to where your host family lives, you can head home for lunch. If not, your lunch will be provided at the placement. In the afternoons, you can offer remedial classes to small groups of students who may need extra attention. Evenings and weekends are your free time to relax and explore with fellow volunteers or new local friends. The main goal of this project is to support local kindergarten teachers and caregivers in Fiji and promote early childhood education. With a good educational foundation, young children then have the skills they need to succeed at school. We work in low-income areas where class sizes are far too big to allow teachers time to work personally with children. As a volunteer, you provide an extra pair of hands to reach more children. We also work with a special needs centre which almost 100 children attend. They greatly benefit from receiving experienced and qualified volunteers to support them in their daily care. You can help us reach these goals by signing up to be a Childcare volunteer in Fiji.